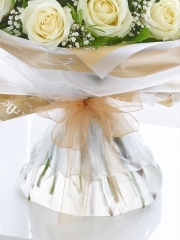 As well as flower arrangements, Aberdeen Flowers can also deliver various champagne and wines to go with your flowers. You can also send Champagne & Wines as a gift by themselves. Your florist in Aberdeen will deliver your gift Same Day Delivery if ordered before 3pm to allow us enough time to prepare and deliver your gifts wherever you would like them to go. Champagne has been used to celebrate occasions such as birthdays, graduations and weddings for hundreds of years. It is a luxury drink which signifies top quality and success. Our florists in Aberdeen are delighted to be to offer you a selection of Champagnes that will add to any celebration. Our top end Champagne is Laurent Perrier which we can deliver anywhere throughout the UK. It is a luxurious high quality champagne for all occasions. Opening a bottle of wine is the perfect way to end a busy day and to celebrate. Wine can be enjoyed for a number of celebrations, such as birthdays and anniversaries or just because! We have a selection of white wines, red and rose wines for you to choose from which can be delivered in Aberdeen, the North East of Scotland and the UK. Our Aberdeen Florists can deliver your wines and champagnes with other optional gifts including chocolates and balloons to make your recipient’s day truly special. At Aberdeen Flowers we have everything you need to bring a smile to the face of that special someone and you can order it all in one place. Our Aberdeen Flowers delivery service means you do not even have to leave your home to ensure that your recipient gets everything they need for a great celebration on their special day, because you know that Aberdeen Florists will bring everything right to their door so that there is no hassle for you and once your order has been placed you can leave everything to us. At Aberdeen Flowers we pride ourselves on our quick and careful delivery. 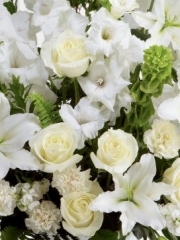 Our Aberdeen Florists will make sure that any instructions you give on the successful delivery of your gifts are passed on to our Aberdeen Flowers drivers who will be sure to take great care in ensuring that your order is delivered when and where you specify. If you choose to order flowers with your champagnes or wines, you should rest assured in the knowledge that here at Aberdeen Flowers everything we do is of the highest quality and this of course is truer nowhere more than with our beautiful flowers. We import all our flowers directly from Holland so that they are all the freshest, best flowers available because this guarantees the quality of every single arrangement created by our Aberdeen Florists. You can order gifts that include champagnes and wines from the website, for example there are a number of gift baskets that have been designed exactly for this purpose. Aberdeen Flowers can also send your champagnes and wines with any other kind of flower arrangement, including bespoke arrangements if you want to be able to specify a different arrangement from those available on the Aberdeen Flowers website. This allows you to be in control of every specification when it comes to your flower arrangement so that whatever you order will be perfect for you and your recipient. Whatever you do decide to order, you will know that with Aberdeen Florists your flowers will be given the best care and attention possible by our highly skilled team of experts who love nothing more than the opportunity to provide you with great gifts for every occasion!